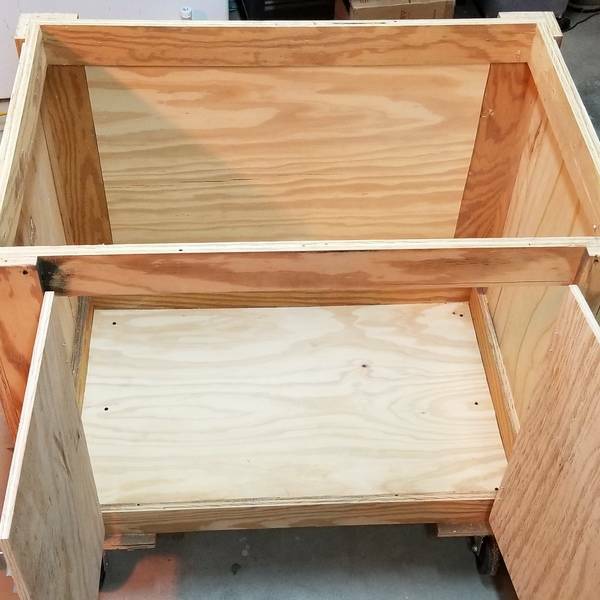 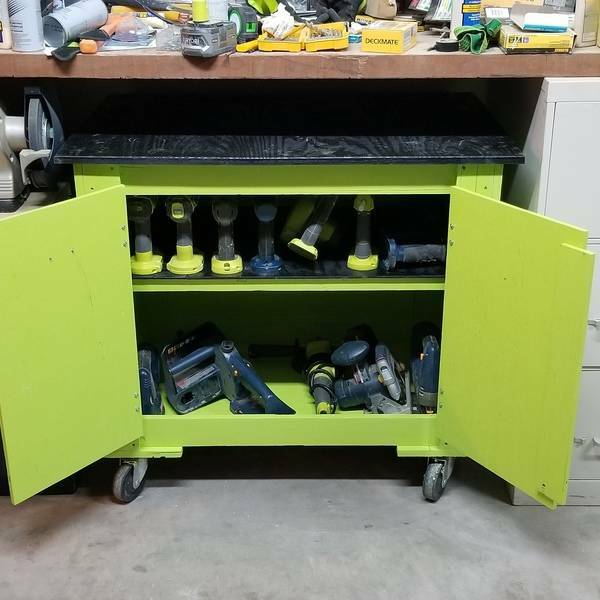 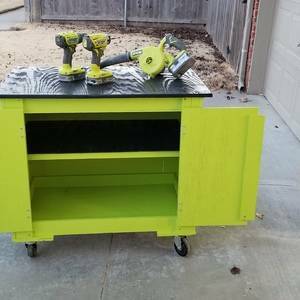 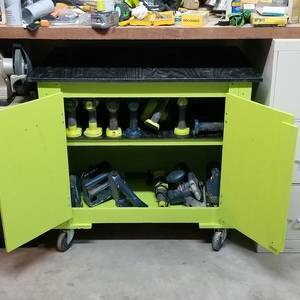 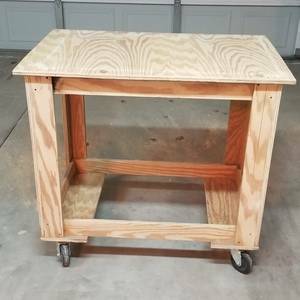 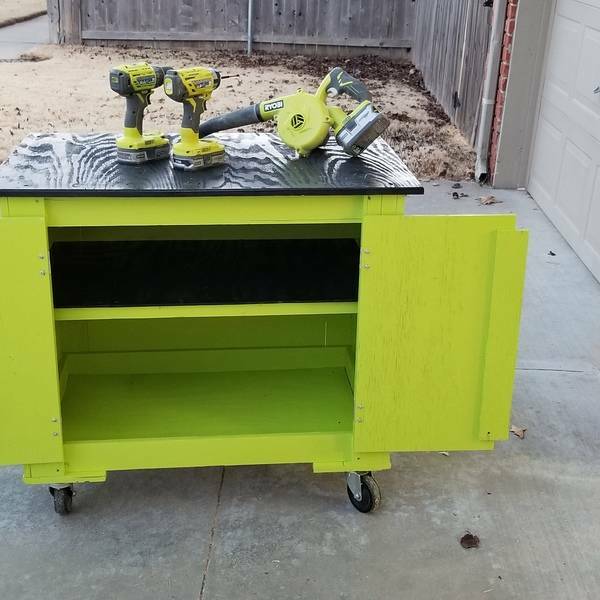 This was an open cart that I made 15 years ago (with Ryobi tools). 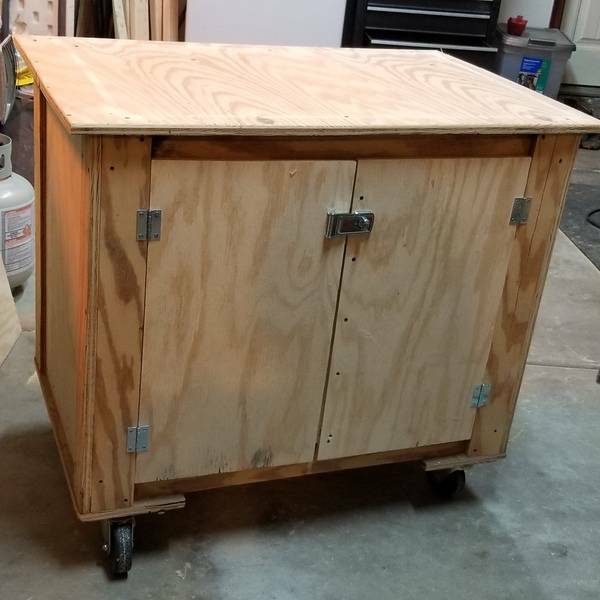 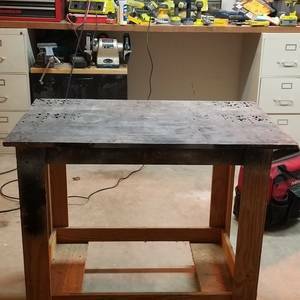 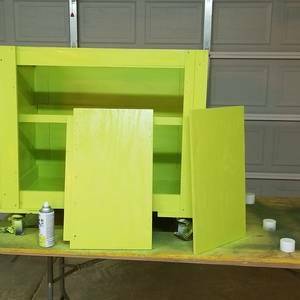 I recently sanded it and added a back, sides, and doors. Then pained it GREEN!